Eventide: Slavic Fable Collector's Edition is rated 4.0 out of 5 by 39. Rated 5 out of 5 by EzgiMelody from B E A U T I F U L !! This game is just so beautiful, magical, mythical and epic...I adore it. Thank you Artifex Mundi and Big Fish. Rated 5 out of 5 by tutortime from Excellent Game! Beautiful game and story line. The game plays quickly however, the skip button takes forever. The bonus story was good but rather short. Worth the money for the CC edition if purchased on sale. Rated 5 out of 5 by tonjadillard from fun and a little different I thought this game was fun, cute and done with intense colors. Just what i like. I hate the faded out, depressing colors some of the HO games have. Also, they are always raining. I hate that. This was a cherry little game and the mini puzzles were different and fun. Not so hard it would take 15 mins to do them. I wish there was more like this one. Rated 5 out of 5 by skullfun from Eventide is a mythical masterpiece filled with imagination!!! How refreshing it is to see a new storyline for a change! Arguably, Eventide: Slavic Fable is still based on the same-old kidnapping story - but at least it tries to be different. 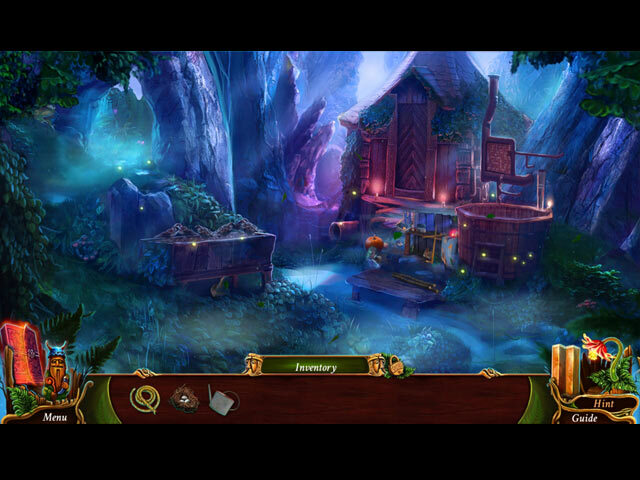 If you are a fan of fantasy games, then Eventide should feel right at home for you. The game features adorable talking mythical creatures, as well as the almighty evil ones. As the game progresses, the storyline gets more and more interesting, especially the backstories - there was never a single moment of boredom playing this game. Artifex Mundi is back to showcase its artistic superiority through the amazing visuals of the game. Every single scene is beautifully painted with rich colors and enhanced by the top-notch visual effects. I was also impressed by the amount of creativity put into creating all these eye-catching locations; they are unique to this particular game and we did not get that feeling of dejavu we sometimes get in some of the recent HOPA titles. For the majority of the game, the music remains pretty serene and calm, but it does get suspenseful when the situation seems fitting. The voice-overs of the characters are very well-done, nothing to complain about. 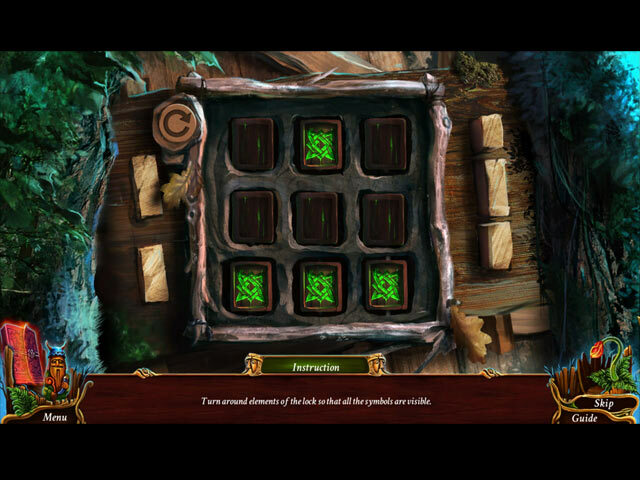 In addition, Eventide: Slavic Fable has a very cohesive gameplay. Every aspect of the game flows delightfully together, the whole experience of the game is as smooth as silk. 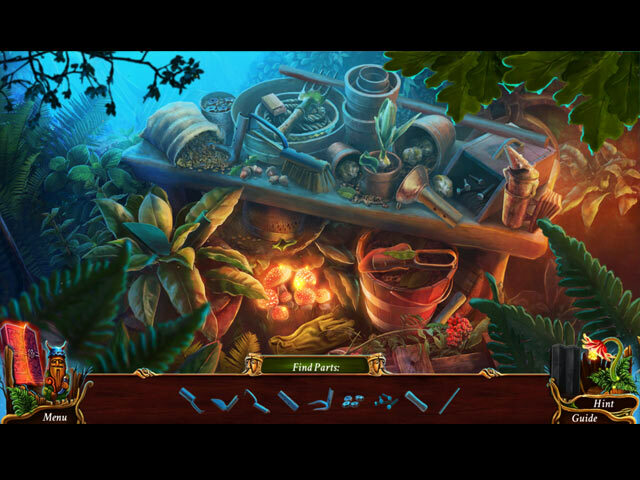 Perhaps, two of the weakest aspects of the game are the hidden object scenes and the puzzles. While the locations in the game are extremely imaginative, the hidden object scenes look pale in comparison - most of them are junk piles with list formats, definitely lack the bells and whistles. The puzzles are slightly better, but could certainly be better. More than half of the puzzles are incredibly easy, and not very complex either. 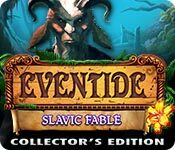 Nonetheless, Eventide: Slavic Fable has a nice length of four hours, or five hours if you include the amazing bonus chapter. Apart from that, the Collector's Edition of the game comes with a strategy guide, replayable hidden object scenes and puzzles, wallpapers, concept art, soundtracks, cutscenes, achievements and collectibles. This is a family-friendly game that won my heart over. It is an exquisite game with one thrilling storyline - and the enchanting visuals give the game its own personality that make it all the more memorable. I highly recommend this adventure for gamers of every level!!! Rated 5 out of 5 by judeejuju from Whats not to like? Such a sweet game. Loved the characters and the setting..pure fantasy..sometimes you just need to immerse yourself in a fairytale land where good triumphs over evil. Thoroughly enjoyed myself. Rated 5 out of 5 by bigg12 from Eventide:Slavic fable collectors edition Please make more of this type of game I buy a lot of games this was the best story line and scene I ever seen! I give it 10! thank-you I enjoyed it! Rated 5 out of 5 by cabanaeast18 from Beautiful, enchanting story! I, too, fell in love with this game! I bought it instantly. Biscuitsmama discribed this story perfectly. Every single word, action, drawing, music....everything was thought out so carefully. After her review, I stopped right there. It was just the way I wanted to leave it! Enjoy!